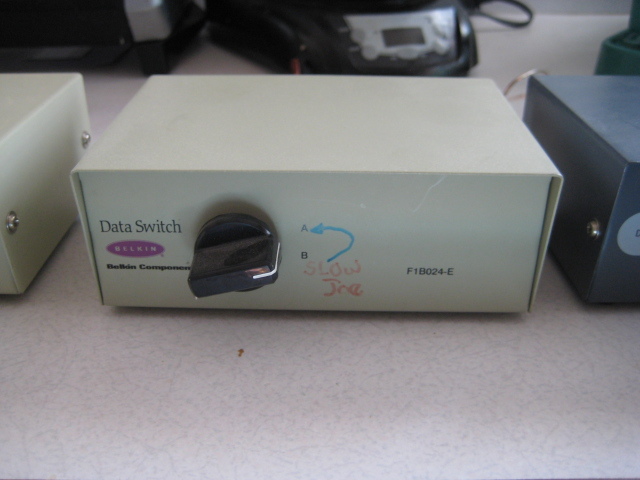 Data Switches: Sold individually. All 3 work perfectly. $5 shipping One comes with data cable. I also have a printer cable for the asking. These are NOT USB ports. 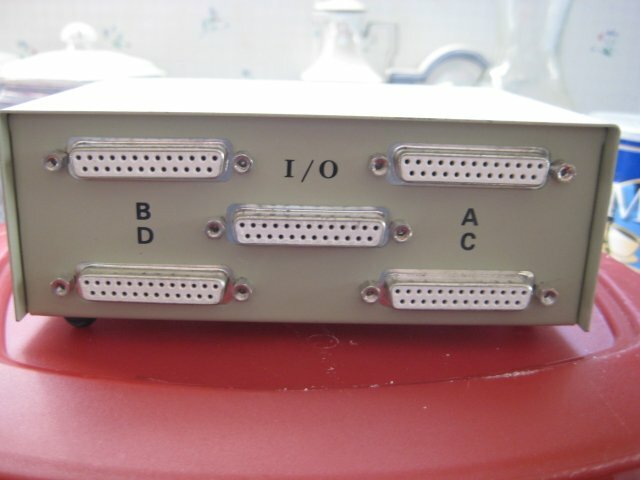 Belkin 4 port data switch. Works perfectly. $7 shipping. Comes with data cable. I also have a printer cable for the asking. First come first serve on the cable - but I probably can dig up data and printer cables if pressed to do so. There asre no surprised under those stick-on mailing labels - I just figure you're better peeling them off, if you even want to do so. 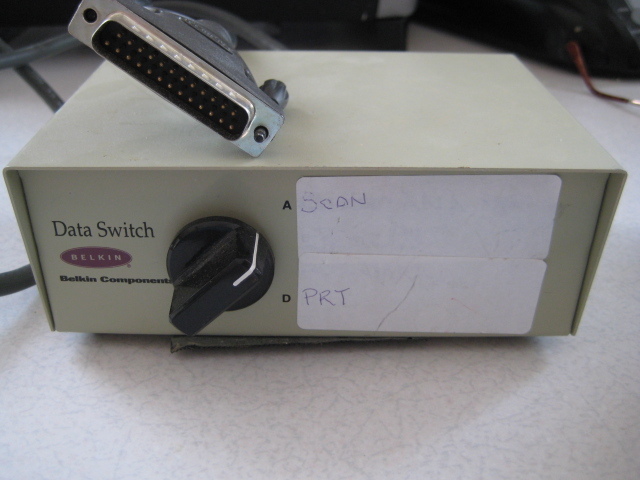 Belkin 2 port data switch. Works perfectly. $7 shipping. I also have a printer cable for the asking. Is missing 1 of 4 rubber feet on the bottom. You can remove the other 3 or use just as well with 3. 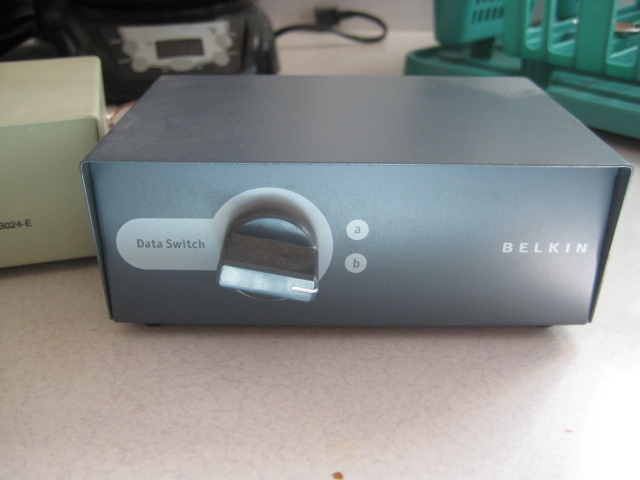 Belkin 2 port data switch. Works perfectly. $7 shipping. I also have a printer cable for the asking.